"An incredibly useful resource for scholars working on Southeast Asia..."
Dr Khairudin Aljunied is an Associate Professor at the Faculty of Arts and Social Sciences, National University of Singapore (NUS) and a Senior Fellow at Georgetown University. Khairudin Aljunied guides young scholars, aspiring academics and writers to excel in their study of the history of Muslim societies. Khairudin Aljunied has spent years studying the evolution of Islam particularly in southeast asia, home to one of the largest Muslim populations in the world. 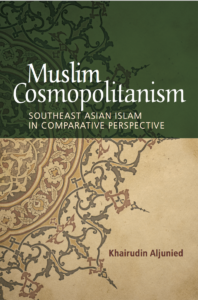 In his recent book, Muslim Cosmopolitanism: Southeast Asian Islam in Comparative Perspective(Edinburgh University Press, 2017), Dr Khairudin investigates the complex ways by which cosmopolitan ideals have been creatively employed and carefully adapted by Muslim individuals, societies and institutions in Southeast Asia to bring about the necessary contexts for mutual tolerance and shared respect between and within different groups, particularly between religious groups in society. 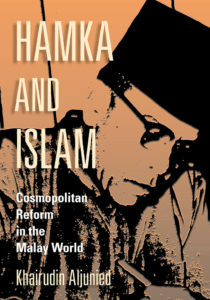 His latest book is entitled Islam in Malaysia: An Entwined History which provides the first ever seamless account of the thousand year old infusion of Islam in Malaysia, the lively interactions and exchanges between Muslims and non Muslims in the country (put book cover and link as well).